Vespa has launched its most affordable scooter, the Notte 125 in India. Priced at Rs 68,845 (ex-Pune), the Vespa Notte 125 has become the new range starter for the Italian two-wheeler manufacturer in the country. 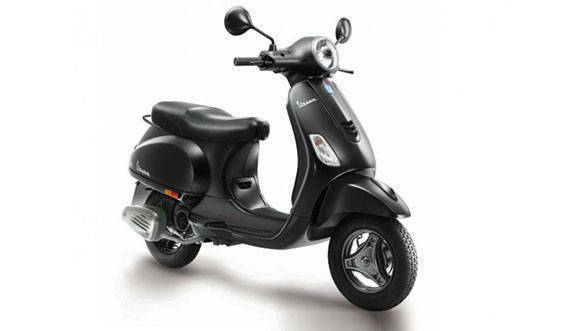 The Notte 125's pricing makes it Rs 4,000 lower than the erstwhile most accessible Vespa. This one gets cosmetic tweaks but retains the mechanical from the 125cc Vespa range. Vespa dealerships across the country have already started accepting bookings for the Notte 125 for a down payment of Rs 8,999. Interested customers can book theirs on PayTM mall as well. The 2018 Vespa Notte 125 is a limited edition offering that will be offered in an all-black shade. That is where this scooter gets its naming from. (Notte is Italian for night). The Vespa Notte 125 comes with blackened mirrors, grab rails and wheels. Even the muffler cover on the exhaust looks blackened. Additionally, the Notte 125 misses out on front disc brakes and tubeless tyres, features that are available in the Vespa's portfolio in India. As mentioned before, the Vespa Notte 125 comes with a 125cc engine that puts out 10.06PS at 7,500rpm and generates 10.6Nm at 6,000rpm. This unit is identical to that offered in the Aprilia SR 125. The newly launched Vespa Notte 125 will compete with the likes of the Honda Grazia 125, TVS Ntorq 125, Suzuki Burgman Street 125, Suzuki Access 125 and also the Aprilia SR 125 in India. In addition to the Vespa Notte 125, the Italian brand has also opened new dealerships for Vespa and Aprilia with 1700 sq. ft. and 1000 sq. ft. showrooms respectively in Margaon and Bicholim, Goa.